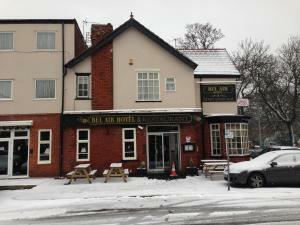 Set 2 minutes’ walk from Haigh Hall Country Park, the Bel Air Hotel offers free Wi-Fi and free parking. Located within 5 minutes' drive of Wigan town centre, it is less than 3 miles from Junction 27 of the M6 motorway. See all Bel Air Hotel reviews..